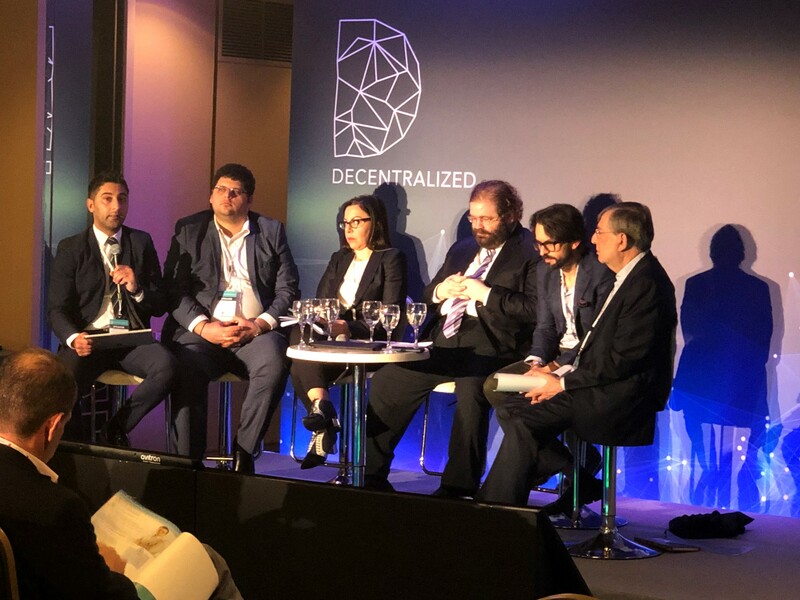 Simon Zenios & Co are happy to have attended Decentralized 2018 in Athens. The summit included 70+ speakers from 50 countries, exchanging business ideas and knowledge to an attendance of 1,000 people. This year’s summit focused on the impact of blockchain technology in various sectors. Also, the impact of regulation and legislation on the industry. It was great to be selected to participate in a panel discussion for GDPR & Blockchain, alongside Law Professor Achilles Emilianides, Anna Plevri, Ian Gauci, Andreas Ioannou, and Marcus. Thanks to Nick Assimenos, Soulla Louca, and UNIC – MSc in Digital Currency for organising Decentralized regulations lawyers. This entry was posted in News on November 19, 2018 by Advocates Cyprus.